Interne Digitalisierung mit Office 365: Unternehmen brauchen völlig neue Denkmuster! Wir beobachten es tagtäglich in unserem Projektgeschäft: Im Zuge der Digitalisierung ihrer internen Kommunikation und Zusammenarbeit wagen immer mehr Unternehmen den Schritt „in die Wolke”. Historisch bedingt, da die unternehmenseigene IT-Landschaft oft seit jeher Microsoft-basiert ist, setzen viele von ihnen auf den Cloud-Dienst Microsoft Office 365. Was wir jedoch beim Umstieg auf diese Cloud-Plattform auch immer wieder feststellen – und zwar bei Unternehmen aller Branchen und Größen: Office 365 bleibt viel zu oft noch hinter seinen Möglichkeiten zurück. Aber warum ist das so? Und wie lässt sich dieser Zustand ändern? DevOps has revolutionized the pace at which new iterations of applications are released to meet the needs of customers. By nature, security teams are focused on securing company assets and data, which others may see as a roadblock to productivity. The tension between these two groups can sometimes be palpable. Both teams play important roles, and eliminating the friction between them can only benefit the organization as a whole. Let’s take a look at four tips that can help reduce the friction between DevOps and security. The Evolution of Cloud Computing – Where’s It Going Next? 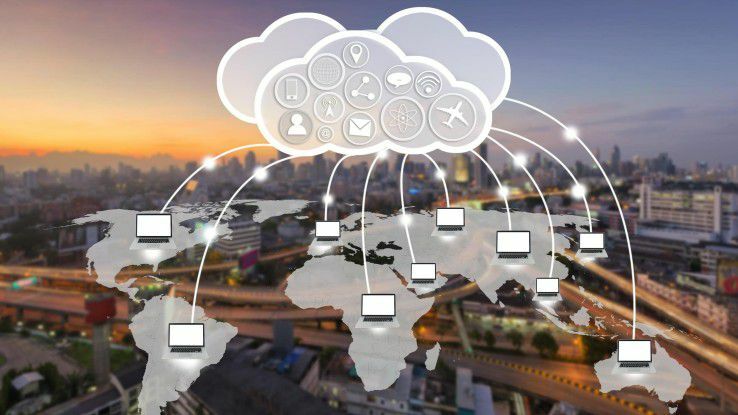 Embracing cloud computing solutions is becoming increasingly paramount for organizations looking to drive their business forward over the coming years, with the roles of CTOs and CIOs having to evolve in step. 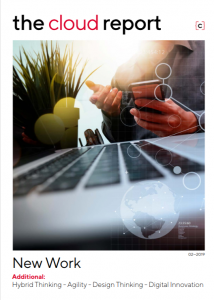 Even though “digital transformation” continues to be the big buzzword of the moment, with coverage of artificial intelligence (AI), machine learning (ML), and virtual and augmented reality (VR and AR) increasing as each day ticks by, cloud transformation remains current – even if it has slipped from the full glare of the limelight in the popular online press. Behind the scenes, however, cloud computing is still a hot topic. In fact, it’s no longer a question of whether or not a company will undergo a cloud transformation. Rather, questions about precisely what services and operations should be shifted into the cloud, how much will they cost, how much will they save the business, and how quickly can it all happen, are dominating the conversation. The latest addition to the ever-expanding collection of IT buzzwords, artificial intelligence (AI) seems to mean all things to all people. No matter which industry you turn to – from retail to finance, manufacturing to healthcare – AI is touted as a ‘game-changer’ and the answer to any number of problems. This hype is driving real change: worldwide spending on cognitive and AI systems is expected to increase at an annual growth rate of 50.1% through to 2021. Kubernetes ist ein open-source System zum automatisierten deployen, skalieren und managen (also orchestrieren) von containerisierten Anwendungen. Kubernetes stellt eine Reihe von verschiedenen API-Objekten zur Verfügung, um den gewünschten Zustand des Clusters zu realisieren, den man umsetzen möchte. Basel. Neben dem gotischen Münster und der mittelalterlichen Altstadt hatte die Stadt im Dreiländereck im Oktober für zwei Tage eine weitere Sensation zu bieten. Vom 10. bis 11. 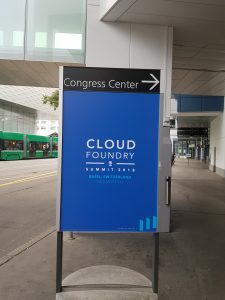 Oktober fand im Congress Center Basel die diesjährige CloudFoundry Summit Europe statt. 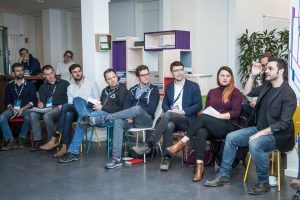 Große und kleine Community-Mitglieder präsentierten als Speaker und/oder Aussteller dem zum größten Teil deutschsprachigem Publikum den aktuellen Stand, in dem wir uns in der CloudFoundry Sphäre bewegen. In today’s enterprise, your data is your lifeblood. Everything you do and every decision you make is about how to create, utilise and protect your data. IT resilience, data protection and backups all play a part in making sure that your data is always accessible and available when you need it. Some of the roadblocks to a successful DevOps initiative have nothing to do with technology or the IT group. Business unit leaders and executives have to get involved in the initiative as well. Creating an environment that is capable of shifting and adapting to market demands isn’t always easy. Remember, the major goal here is to develop agility around both business and technology. DevOps is certainly a method to accomplish this task. I mentioned this in my „DevOps 101“ article, but it’s worth repeating. The concept of DevOps isn’t just a single tool or platform. Rather, it truly is a shift in thinking in how you deliver services, applications, and even business capabilities into a digital market. In some ways, it’s the engine around digital transformations. Predictability is the primary reason companies embrace agile over waterfall. The full slate of reasons vary depending upon the context of the company, and it would certainly not come as a shock that many companies embrace agile because it’s hip. But for the most part, large companies (aside from the ones trying to be hip) tend to embrace agile for predictability with a capital P.
We are now witnessing the democratization of DevOps. This concept seemed to be an unattainable goal until recently but now it has become the new normal. Digital transformations are a must and job descriptions are slowly changing as developers will have to increase their “operational” awareness. 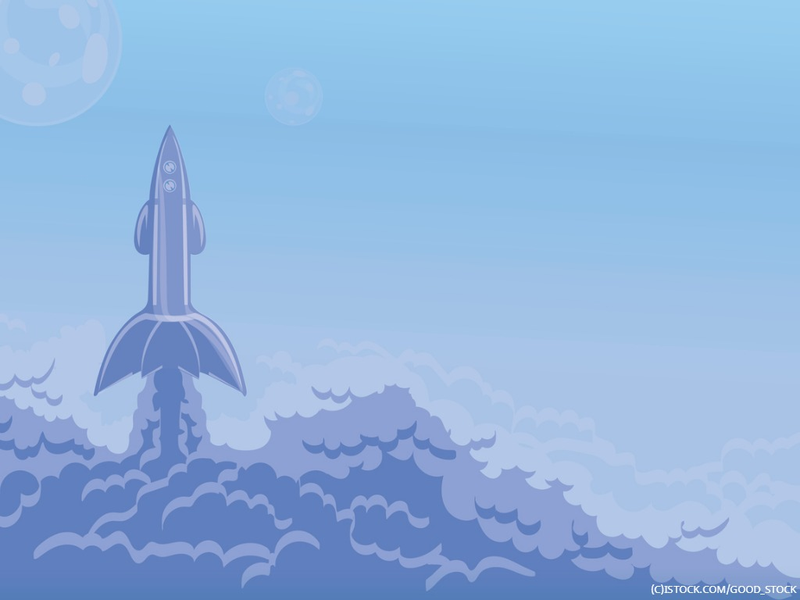 We talked to Sacha Labourey, CEO and founder at CloudBees about all this and more. This post was authored by Paul Asadoorian, CEO and founder of Security Weekly. Over the last twenty years we have witnessed dramatic changes in the way companies write and ship code. First there was Waterfall, followed by the Agile movement in the early 2000’s, and now we find ourselves in the Age of DevOps. All of these changes have been made with one goal in mind: ship more code in less time. After all, time is the great equalizer for us all – and those that do more in less time will always find themselves in a favorable state. Mit umfangreichen Service-Portfolios und günstigen Preisen dominieren Azure, AWS und Google den Public-Cloud-Markt. Doch die schiere Größe bringt Kunden nicht nur Vorteile. Dieser Artikel stellt einige interessante Cloud-Alternativen vor. Wenn Unternehmen ihre IT in die Cloud verlagern wollen und dafür einen Anbieter suchen, denken sie in der Regel zuerst an Microsoft Azure, Amazon Web Services (AWS) oder Google Cloud. Die Public Cloud Provider sind weltbekannt und bieten ein umfangreiches Service-Angebot sowie viele Vorteile aufgrund der hohen Skalierbarkeit und Flexibilität. Für Unternehmen mit speziellen Anforderungen gibt es gute Alternativen zu den Cloud-Giganten AWS, Azure und Google. Einer der größten Vorteile der Cloud ist ihre Flexibilität und vor allem ihre Skalierbarkeit. So kann die Unternehmens-IT die Ressourcen bereitstellen, die die Nutzer auch tatsächlich in Anspruch nehmen. Dabei gibt es einige Faktoren, die berücksichtigt werden müssen. Einige davon betreffen den auf der Cloud ablaufenden Code, die Architektur und den laufenden Betrieb. Für die Skalierung einer Cloud gibt es im Wesentlichen drei Ansätze. Der erste ist die vertikale Skalierung. In diesem Fall werden die gegebenen Ressourcen erweitert – also dem virtuellen Server wird mehr CPU-Leistung, Arbeitsspeicher oder Speicherplatz hinzugefügt. Dieser Ansatz ist der einfachste, da lediglich Systemkomponenten hinzuzufügen sind, die Administration bleibt dieselbe. Anwendungsfelder hierfür sind beispielsweise der Einsatz von relationalen Datenbank-Systemen. Der zweite Ansatz ist die horizontale Skalierung. Hierbei bleibt die Beschaffenheit eines virtuellen Servers gleich, ihm wird eine zweite Instanz hinzugefügt. Typischer Anwendungsfall dafür ist ein Webserver. In diesem Fall ist die Administration etwas anspruchsvoller. Die Lasten werden unter den virtuellen Servern mittels eines Load Balancers verteilt. Schließlich gibt es den diagonalen Ansatz, der eine Kombination aus horizontalem und vertikalem Modell entspricht. In diesem Fall werden zunächst die Kapazitäten eines Servers erweitert, bevor ein zweiter Server hinzugezogen wird. Hier wird der Aufwand für die Administration begrenzt, da durch die Phase der vertikalen Skalierung einiges an Ressourcenbedarf aufgefangen wird. Michael Dell once said that “the cloud isn’t a place, it’s a way of doing IT.” He was right, and the same can be said of cloud native. It’s counterintuitive to think the most advanced model for deploying and scaling applications today can be applied in your own data center as well asin the public cloud, but it’s true — and enterprises need to grasp this, because if they don’t they will miss out on much of the value that cloud native has to offer. Cloud native provides numerous benefits, which explains why production deployments have grown more than 200% since December, according to a new report from the Cloud Native Computing Foundation (CNCF). The chief benefits cited in the report are faster deployment times, improved scalability and portability between clouds, but I would add improved server and storage utilization to that list, too. Der Einstieg in die Cloud will durchdacht sein. Wie eine Forrester-Studie jedoch zeigt, werden viele Barrieren in der Planung nicht erkannt. Entsprechend teurer und schlechter gestaltet sich die digitale Transformation am Ende. Der Weg in die Cloud ist ein komplexes Unterfangen. Die von Forrester Consulting im Auftrag von Rackspace durchgeführte Studie „Maintaining Momentum: Cloud Migration Learnings“ zeigt auf, welche Problemstellungen Unternehmen vor, während und nach der Migration von Daten und Applikationen in die Cloud am stärksten beschäftigen. Die Marktforscher führten dazu eine Online-Umfrage unter 326 Business- und IT-Entscheidern sowie Projektleitern durch, die aktuell oder in der Vergangenheit Verantwortung für Migrationsprojekte in der Cloud hatten. Wenn Unternehmen ihre gesamten IT-Systeme in die Cloud verlagern­, ergeben sich ­verschiedenste Anforderungen an die Infrastruktur. Eine Multi-Cloud-Architektur sollte das Ziel sein. Aber was müssen Unternehmen dabei beachten? Dass Cloud-Computing kommt, können auch die wenigen verbliebenen Skeptiker nicht verhindern. Schon jetzt zeichnet sich ab, dass es in kurzer Zeit wichtige Säulen der Unternehmens-IT nur noch als Cloud- und Webversion geben wird, etwa ­Collaboration- und Office-Apps. Die klassischen Lizenzmodelle sind dann passé. DevOps ist als Buzzword gerade in aller Munde – jede IT-Abteilung, die etwas von sich hält, und jeder Manager oder Engineer, der „Project Phoenix“ gelesen hat, will es umsetzen, denn die Probleme sind allbekannt und die Lösungen doch offensichtlich einfach. Nur: Es wird so nicht funktionieren. Jedenfalls wird es nicht so funktionieren, wie es die Autoren von Project Phoenix gerne darstellen wollen und wie es auch gerne in Zeitschriften publiziert wird – nämlich in dem wir uns alle lieb anschauen, an den Händen fassen und gemeinsam singend durchs Leben schreiten. What exactly is “Cloud Native” even? The capital expenditure of the largest cloud infrastructure players continues to rise – and according to Synergy Research, the first half of 2018 has seen record figures being published. Total capex for the first half of this year among the hyperscale operators hit $53 billion (£41.1bn), compared with $31bn this time last year. Q2’s figures did not quite match Q1, but this is down to an anomaly, Synergy argues, with Google confirming its buying of Manhattan’s Chelsea Market building, for $2.4bn, in March. Elf Later-Stage Startups starten heute in das Programm von Microsoft ScaleUp, vormals Microsoft Accelerator, in Berlin. Damit erweitert Microsoft seine Startup-Aktivitäten um die gezielte Förderung von KI-Lösungen, die zum Innovationsmotor für Deutschland werden können. Die teilnehmenden Startups kommen aus acht europäischen Ländern und entwickeln Lösungen für Branchen wie Marketing, Automobil und Medizin. Vier Monate lang arbeitet Microsoft zusammen mit den Gründern an ihrer Wachstumsstrategie – mithilfe von Co-Selling, Zugang zum internationalen Vertriebs- und Partnernetzwerk von Microsoft sowie zur Cloud-Plattform Azure, ohne im Gegenzug Anteile der Startups zu nehmen. Microsoft fördert damit technologischen Fortschritt und Gründertum für eine Digitalisierung für alle. Wie erwartet, zieht Microsoft seiner Deutschland-Cloud den Stecker – und zeigt damit zugleich eine der größten Gefahren beim Cloud Computing: Cloud-Anbieter können jederzeit Dienste abkündigen, ohne dass Anwender viel dagegen run können – die Abhängigkeit vom Provider ist groß. Anfang der Woche lies Microsoft die Katze aus dem Sack: Der US-Konzern stellt das Treuhändermodell der deutschen Cloud mangels Nachfrage ein. Die Redmonder hatten die Microsoft Cloud Deutschland Ende 2016 gemeinsam mit der Deutschen Telekom gestartet. Die Telekom tritt dabei als Treuhänderin der Daten auf. Continuous Integration ist seit ein paar Jahren in aller Munde. In der Praxis merke ich bei diesem Thema oft, dass es immer noch eine Unsicherheit gibt, was der Unterschied zwischen Continuous Integration, Continuous Delivery und Continuous Deployment ist. Daher möchte ich das Thema hier gerne noch einmal erläutern. Dazu wird es mehrere Artikel geben, als erstes werde ich hier nun auf Continuous Integration eingehen.